Investment Management services are provided in-house and not delegated to a 3rd party like many other firms. We believe Investment Management is too important to outsource to 3rd party firms. Philip Royal, CFP has years of experience managing investments in both bull (up) and bear(down) market and keeping his clients on-track toward achieving their financial goals and living the lifestyle they want. 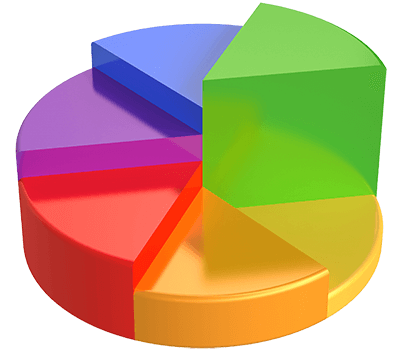 Individualized portfolios are constructed using various asset allocation models based on each client’s goal, taking into account their investment objective, time horizon, and risk tolerance. Our investment philosophy is proactive and involves defense and offense in order to help clients obtain their financial goals. We use risk management techniques to protect your capital as markets weaken. Technical analysis is utilized to provide objective views of where and when to invest and to determine when to protect or sell our clients’ investments. Reports are sent to each client which monitor the performance of their accounts, as well as progress towards reaching each of their financial goals. This is a popular service for clients with a minimum of $300,000 in investible assets (including 401(k), 403(b), and 457 employer sponsored retirement accounts, deferred compensation plans, employer stock option plans, and restricted stock plans). Small business pension plans are not subject to the $300,000 minimum to get started. Client accounts are always titled in the name of the client or pension plan for their protection (to prevent fraud) and most are held at Shareholders Service Group/Pershing LLC. Clients receive monthly statements from Shareholders Services Group and have on-line access to their accounts. We’ve chosen Shareholders/Pershing LLC for its wide assortment of investments, low trading fees, and financial security. Accounts are protected through SIPC up to $500,000 and up to $1 billion aggregate though Lloyds of London. Click Here.